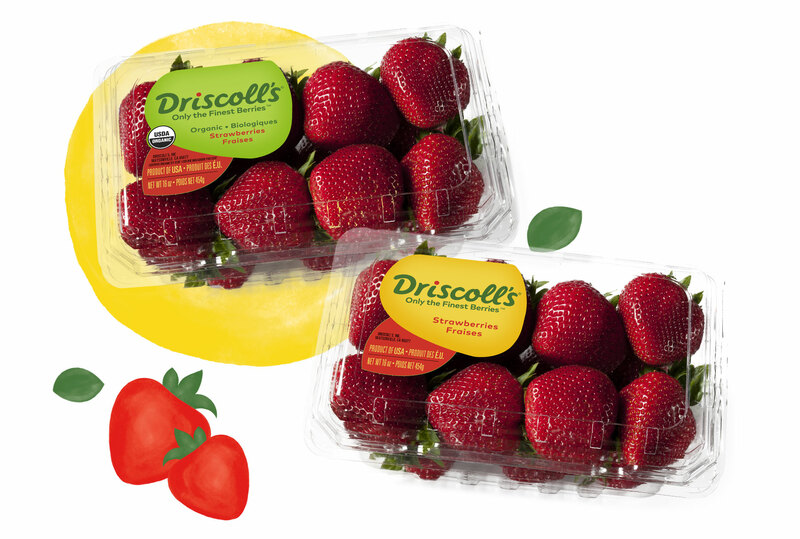 For more than 100 years, the Driscoll’s name has meant fresh, delicious strawberries. For an impromptu celebration your friends will reminisce about years later, bring out our Strawberries. Working with independent growers, each strawberry is hand-picked at peak ripeness to meet our strict quality standards. The secret to our strawberries is our proprietary varieties. We start with thousands of varieties and choose the top 1% to sell under the Driscoll’s name. Rest assured–our naturally grown strawberries are never genetically modified. Follow the tips below and your strawberries can stay brilliant and juicy for 3-5 days. Try to keep your fresh strawberries as dry as possible. Refrigerate strawberries in their original package between 32° and 34°F. Rinse strawberries gently with cool water just before you’re ready to eat them. To enhance their natural flavors, let strawberries reach room temperature before serving. Discover the Vitamin C health boost from strawberries. A fresh, sun-inspired container for our delicious strawberries.